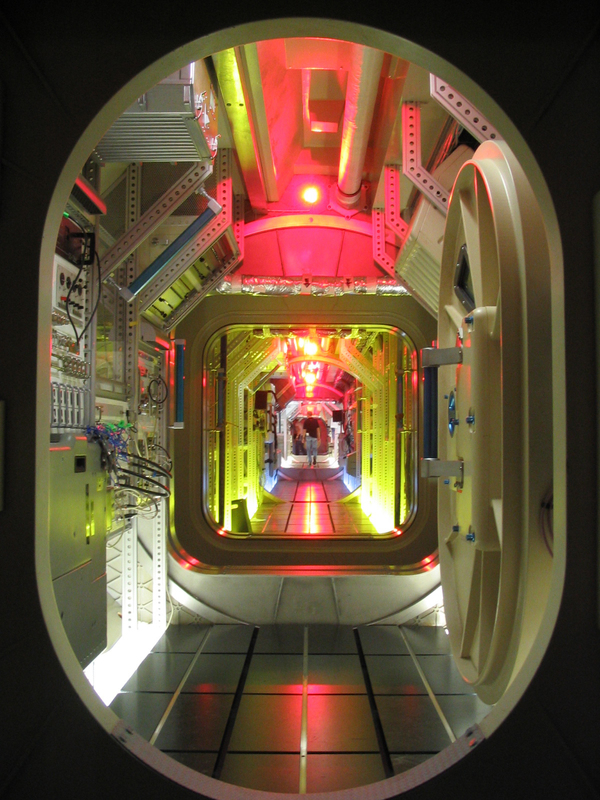 There is absolutely nothing cooler here than wandering around on the spaceship. They’ve been filming some of the Zero G scenes so the big main set is empty. It’s huge and cramped and beautiful and industrial and certainly much better lit than a real spaceship. Once you’re inside you are completely immersed in the world. It’s entirely enclosed. There are no windows. Everything there looks like it has a function except, of course, for the little human touches. A pair of socks on the floor. A photograph of a family. A tiny basketball hoop on the wall. A hairband on on the shelf next to the bed. There’s a kind of sad feeling to the empty set. It feels like it’s been abandoned.